Approx. 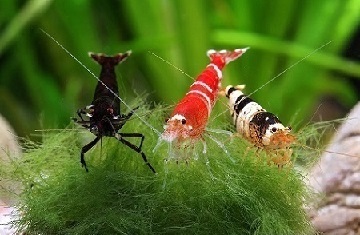 5 mm stick per 20 shrimps, per day. 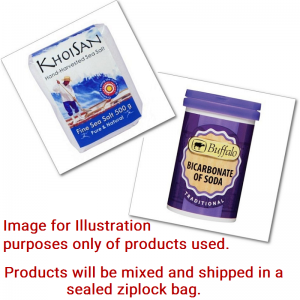 Remove food residues after 24 hours. Feed sticks for targeted nutritional supplementation with high-quality proteins and essential amino acids. Protein content 42.2%. For times when increased protein is required, e.g. during egg formation. Sinking, water-stable feed sticks consisting of 100% natural ingredients as a targeted protein supplement. Shrimp King Protein has significantly higher protein content in comparison with the main food at 42.2%. It is fed as part of the normal feeding programme for variety and as a nutritional supplement. 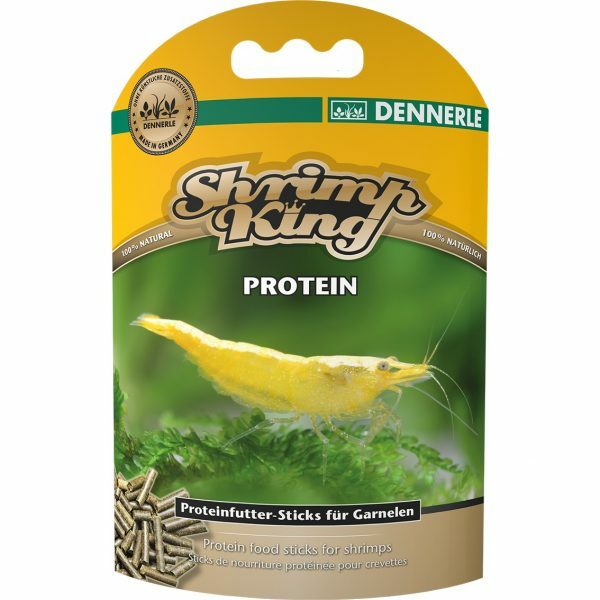 At the same time, Shrimp King Protein enables an increased protein supply during times of increased need e.g. during the reproduction phase and egg formation. Shrimp species with inherently higher protein requirements can also feed appropriately for their species. 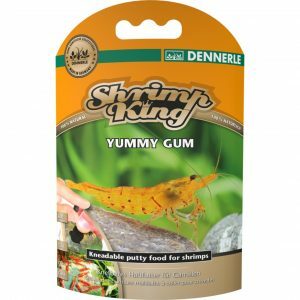 The proteins and essential amino acids all originate primarily from aquatic animals (Gammarus, Daphnia, decapsulated Artemia cysts, shrimps, green-lipped mussel) and as a result have optimum nutritional composition and bioavailability. Guarantee: no artificial colourings or preservatives, no fish meal. 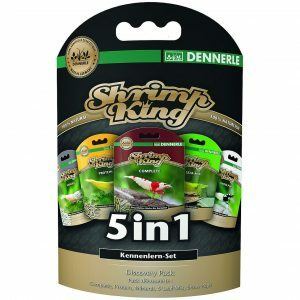 Tip: Shrimp King Protein is also ideal for feeding crayfish, dwarf crayfish (CPOs), crabs, long-arm shrimps and snails. Saw a video video from Flip Aquatics where Rob says this makes the egg yield on your females greater. And I can confirm, it's true, my one crystal female dropped over the weekend, counted 48 shrimplets. I'm pretty sure this had a big role to play. Just ordered another bottle!